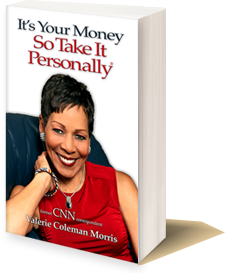 It’s Your Money So Take It Personally® – financial education and literacy with style, flair and your audience in mind. I believe in money clarity with compassion. I’ve been told by clients that my approach invites, instructs and integrates my keynote speech message with finely tuned emotional radar that sizes up the audience and adjusts the message accordingly. Financial self-reliance like birth and death is one of the great equalizers since money is the one common denominator – good or bad, right or wrong – that is an immediate measure of what a person can do with their future. 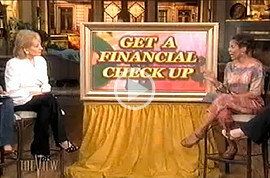 I talk about personal finance with people at all levels of financial accomplishment or financial disarray. I’m especially concerned about and committed to people (of all ages) who haven’t been schooled in the basics of how money works. That’s why a huge component of my work is speaking to high school and college audiences – where there is often a disconnect between parent and child about money issues and no national test or standard by which to judge how financially literate students are when they graduate. I approach uninformed audiences instinctively to explain what they need to know without being condescending. My goal isn’t just to teach my audiences – but to reach them. I want people to live the dream of financial self-reliance, to no longer fear for their financial well-being and to reduce the intimidation associated with managing personal money. I speak honestly and transparently about a subject most people still consider taboo: money.